Audi RS3 Review 2019 | What Car? In an effort to remain at the pointy end of the hot hatch horsepower pyramid, both Audi and Mercedes-Benz have been locked in an intense battle of numbers for more than half a decade. 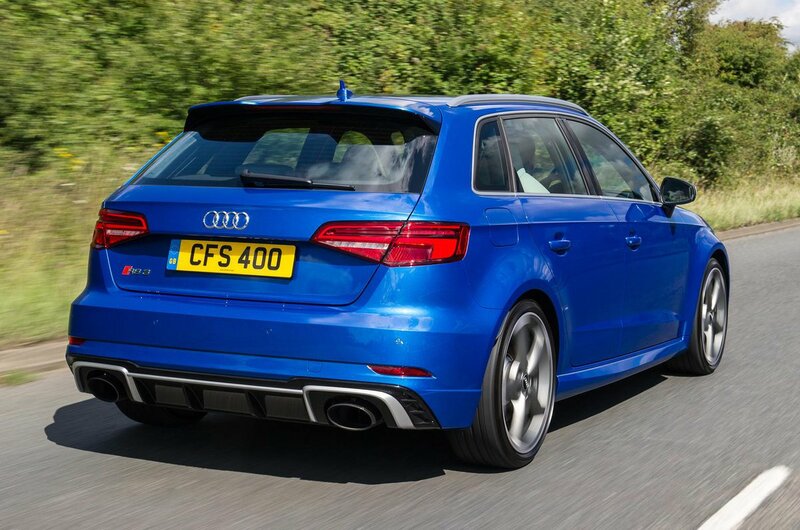 First, the Audi RS3 took the honour of being the most powerful hot hatchback when it was launched back in 2011, only for it to be edged out by the monstrous 355bhp Mercedes-AMG A45 just two years later. 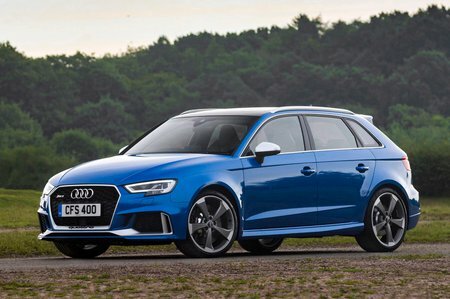 Now Audi is firmly back on top, with this revised RS3 packing a whopping 394bhp from its TT RS-sourced five-cylinder engine. Power is sent to all four wheels, and both the car’s suspension and four-wheel drive system have been fettled in the hope of making the handling a little more entertaining. Will that be enough to lift the historically straight-laced Audi above the far less expensive, yet more playful, BMW M140i and Ford Focus RS? Read on over the next few pages to get our in depth impressions, and to see how this rocketship of an A3 compares with the competition.